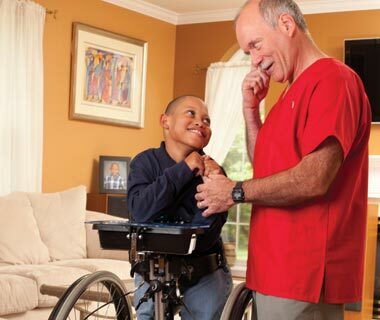 Gabe D., who was diagnosed with cerebral palsy, is pictured with his BAYADA nurse, John Bowen, RN. BAYADA Home Health Care is working to build a strong technology foundation that provides the highest quality support to all BAYADA service offices and our health care professionals. 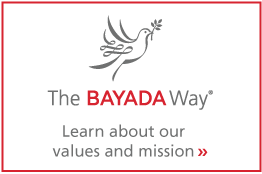 We hope to always be able to express what is most critical to our work — The BAYADA Way — which is rooted in the foundation of all we do. The Galaxy Tab helps maximize our efficiency so we can spend more quality time with our clients.